How do you travel with your make-up when you fly? ANSWER: I buy my make-up kit a ticket so it can sit in a seat like this? But I thought this picture was hilarious! I always travel anywhere with my make-up kit in one of my ZUCA BAGS, and this zebra and pink one is my favorite, the wheels even light up when it rolls! Well, the last time I travelled with my kit, I just drove...and that's when I use my zebra zuca, which is the ZUCA SPORT. The ZUCA SPORT, has fun prints and colors you can pick- and it's a little smaller, the wheel are on the side (which usually doesn't fit in overhead compartments on planes), and my favorite- THE WHEELS LIGHT UP and people are amazed! 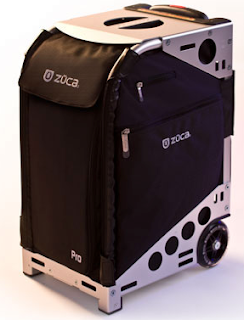 When I fly, I usually remember to take my ZUCA PRO. This more, plain looking black one. It's taller, slimmer, the wheels are tucked inside, and it has fit in pretty much every overhead compartment on any airline I've ever flown. The PRO ZUCA is great, it has compartments for everything and I can always fit some extra essentials that I might need. 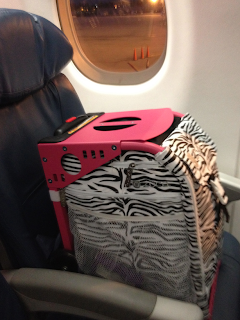 My Zebra one (with the extra wide wheels, but oh so much cuter than the plain black one), as usual didn't fit into the overhead compartment. The stewardess said she could check it in with the other bags..to WHICH I said, OHHHH NOOOO- "I've got a lot fragile palettes in there! 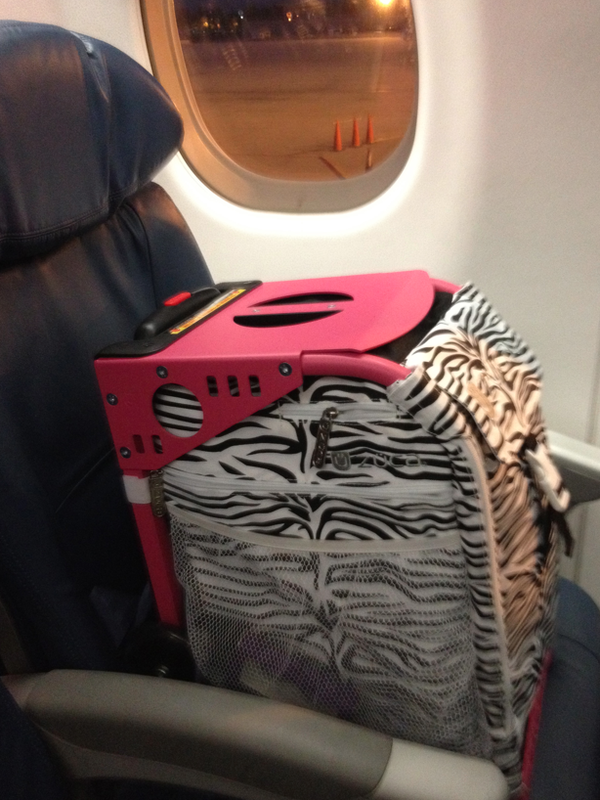 That's why I bring her with me on the plane! The airline stewardess said I could just buckle it into an empty seat! And them you have the picture above which cracked me up! So if you are a make-up artist and need a kit bag to fly with, or if you want to travel with a cool suitcase (these are designed for everything from ice skaters, to dancers, to school bags, to just suitcases)...these bags are amazing. The wheel roll smoother than a Cadillac too! PS. I travel with all my larger than they allow liquid bottles or containers, in ziplock bags, wrapped in bubble wrap in my check-in suitcase. 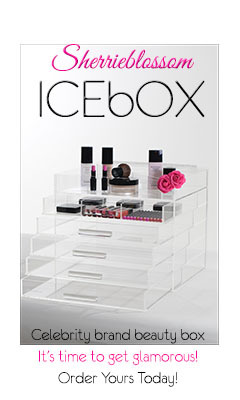 How do u organize your makeup in here or better yet at home??? Would LovE tips for this bc I LovE everything else u do!!! !